Lawler Group | Employment Recruiters in Milwaukee Interviewing today! Employment recruiters at the Lawler Group need talented residents in Wisconsin for a variety of positions. We are one of the most successful recruiting agencies in the Milwaukee area and need to find driven and committed talent looking for the best job for them. We possess 40 years of experience backing our methods and connections, and filling empty positions in Milwaukee is our goal. We not only help businesses remain productive but help people support themselves and their families. 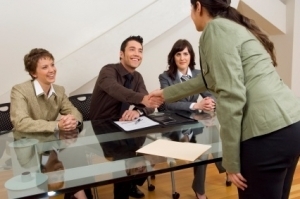 Our team of employment recruiters works to place candidates quickly. We are qualified and experienced employment recruiters familiar with what the Milwaukee area offers. If you are looking for a specific job in a particular industry, we can help you find it. We hire for a variety of industries at higher quality positions. Give us a call at 262-241-1600 and learn more about how we can help you, or email us at tim@lawlergroup.com. Why Work with Employment Recruiters in the Milwaukee Area? Employment recruiters from the Lawler Group take a personal, in-depth look at candidates. From the first meeting, we want to learn about you as an employee and a professional. From that moment we work hard to match your skills, knowledge, and goals with any of our numerous connections with vacant positions. Once you’re matched, we provide you with the best on-boarding available in the industry, making sure your goals and desires are communicated and in line with your new employer. Our recruiters are some of the most experienced people in the industry, through rigorous education and training in the MRI Network. We do the legwork and research as your employment recruiter. You as a candidate focus on learning, being the best candidate we can recommend, and leave the contacting and finding jobs to us. Our vast network explores all avenues of industry and job level. As our candidate, you can take care of yourself, and we will bring the opportunities to you. Reach out to us at 262-241-1600 to learn more.